As we gear up for holiday shopping, I want to remind you of a few opportunities we have to give back to SES without spending a single extra dime. Easy money! Though the individual amounts seem small, they add up to a great deal for our sweet school. Fred Meyer Community Rewards allows you to pick an organization to which they donate a percentage of all you spend. Follow this link and sign up if you haven’t already. Type in Sunnyside Environmental. You can choose the PTSA or the school account. Either one helps the school. Amazon Smile also allows you to pick a non-profit to benefit from your shopping prowess. Visit the Amazon Smile page to get set up. 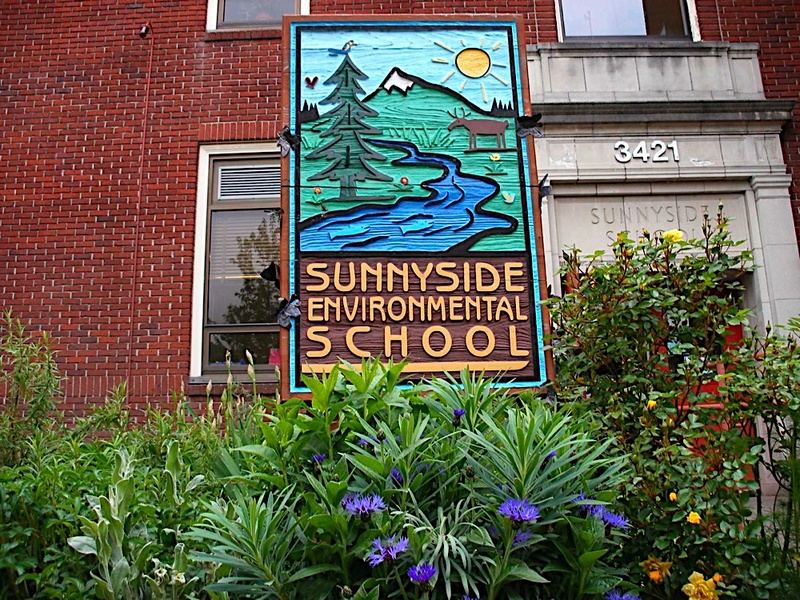 Once you choose your charity (Sunnyside Environmental School), you won’t have to remember to do it again. You can even see how much your shopping has given back to SES on the home page. This is a great one for out-of-town family because they can give to SES when they shop at amazon as well. The only think you need to remember is to shop through Amazon Smile and not amazon.comâ€”regular amazon.com purchases do not count toward Smile and thus no money to SES. Sad! Powell’s also has a rewards program. If you click this link to get to Powell’s (using SES’s partner ID, 34798), they will donate a portion of each sale to SES. Office Depot will donate 5% of any qualifying purchase back to SES. If you shop at the local Office Depot (323 SE MLK Boulevard), you can just ask them to apply the 5% Back to Schools to Sunnyside Environmental School. If you are shopping at another Office Depot, online or over the phone (1-800-GO-DEPOT), you can use the School ID 70084282. Gift Cards! There is a wide variety of gift cards for you to peruse at the gift card table on Tuesday and Thursday mornings. Gift cards are great for your shopping experience and they make amazing stocking stuffers. Just sayin’. The Giving Tree is up in the main hall again this year. Though it doesn’t bring money into the coffers of the PTSA or the school, it supports our community at its foundation. Learn more about this program here. Thanks for all that you do for the school. Every little bit helps!